Here's an exciting and unique opportunity. The Philadelphia Flyers-MeiGray Group Game-Worn Authentication Program is offering the winning bidder the chance to take a Zamboni ride on the Flyers’ pre-game ice. 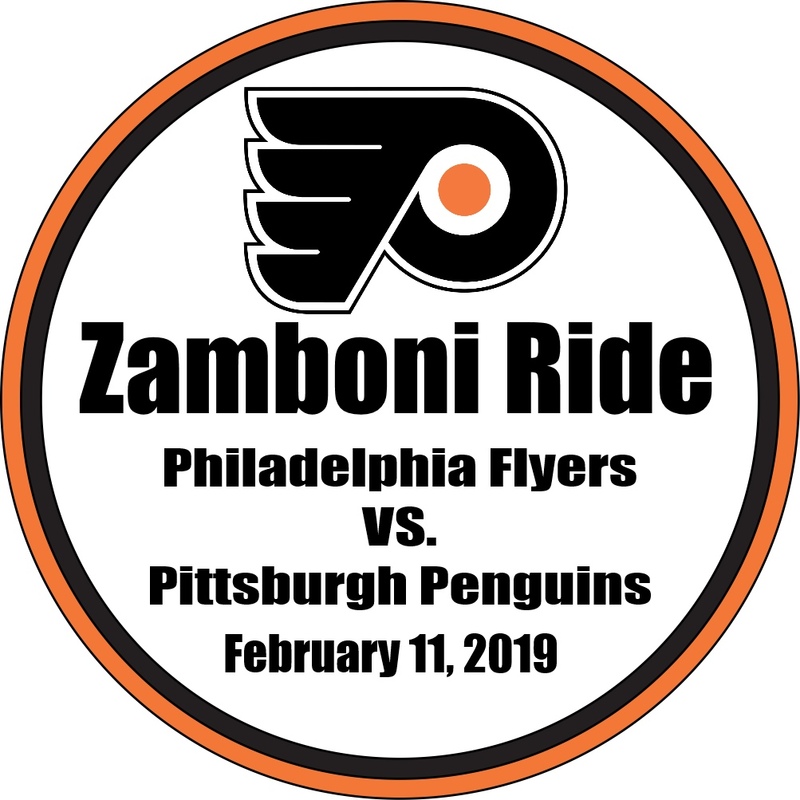 One person will get to experience a trip around the ice while riding in the passenger seat of the Zamboni prior to the start of the game on Saturday, February 11, 2019, when the Flyers host Sidney Crosby and the Pittsburgh Penguins at Wells Fargo Center. The winning bidder will receive two tickets to the game. Ticket location to be determined by the Flyers. Requirements: This is a single rider event. Rider must be at least 12 years old and must sign a waiver prior to event. Following the auction, the winning bidder will be contacted by MeiGray to supply contact information. Attendees must be in Wells Fargo Center by 6:15pm. Transportation is not included. Winning bidder and guest are responsible for getting to and from Wells Fargo Center.